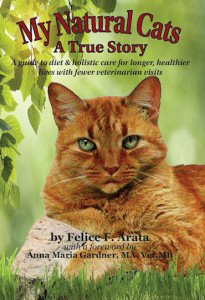 I have a 14 year old kitty with irritable bowel, and was at whits end trying all the commercial foods that are supposed to help (Prescription Diet, Royal Canin, etc…) and a friend recommended Feline Instincts a couple years ago. Sarafina (my cat) has been on your diet for over 2 years now. She does better on it than anything else. Thanks.